On 16th of July, 2017, we proudly served our clients, Dr. Aliza Aini and her group from ECE Department, Kulliyah of Engineering, International Islamic University Malaysia. They are doing a tour and a quick material characterization, assisted by our surface profiler system. 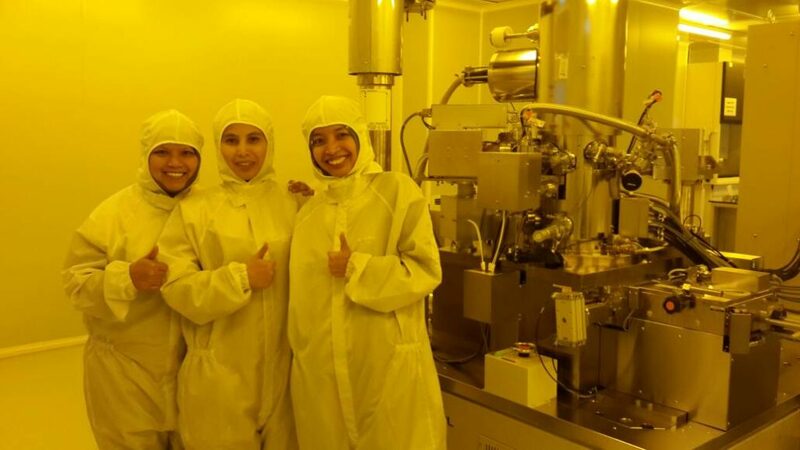 Pic: Dr. Farahidah, Dr. Rosminazuin and Dr. Aliza Aini with our electron beam lithography system.